The armchair was originally designed in the 1950s and is to this day produced according to the original drawings and molds. 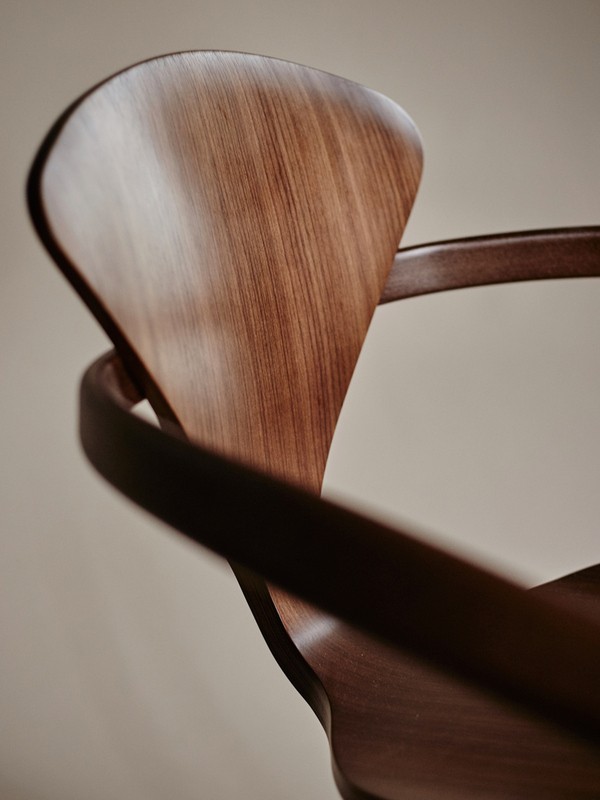 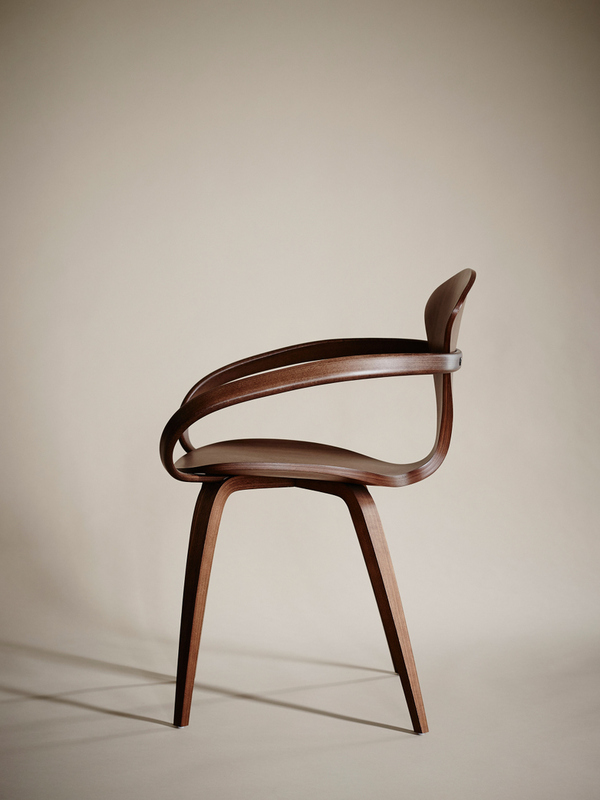 The unique way of manufacturing allows the chair to feature a beautiful soft design with organic shapes. The structure is made by form-pressed plywood with shifting thickness and armrests of solid wood. 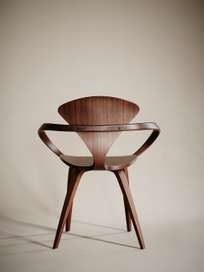 The Chairs are available in different wood materials, color, and option for seat design. 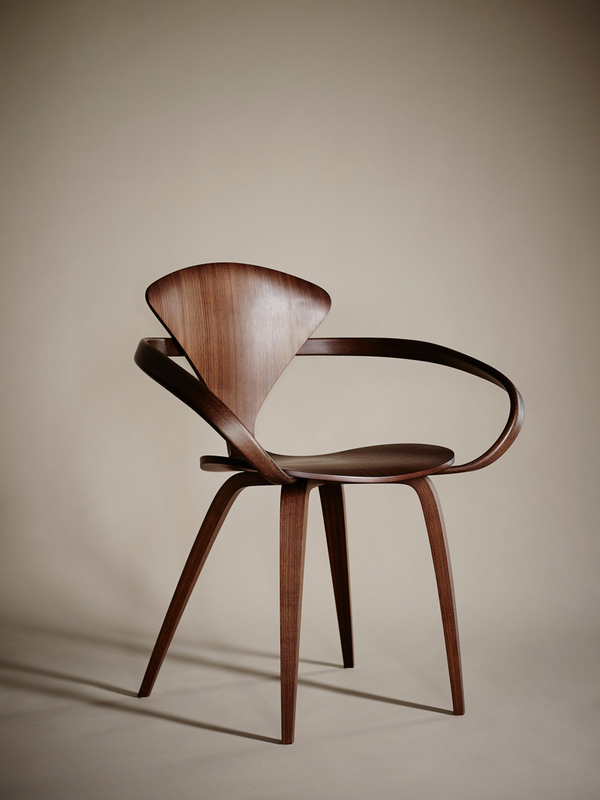 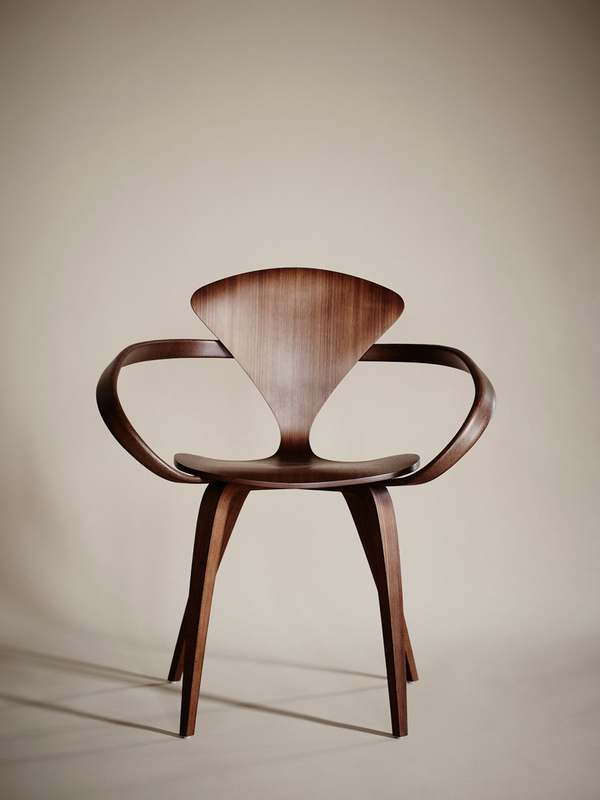 Walnut, form pressed plywood, armrest in solid bend-wood.